These crunchy Low Carb Cauliflower Crackers are amazingly gluten free, grain free, paleo and vegan to fit into any diet. So tasty, you won’t even miss the grains! Jump in on the cauliflower craze with wholesome Low Carb Cauliflower Crackers! 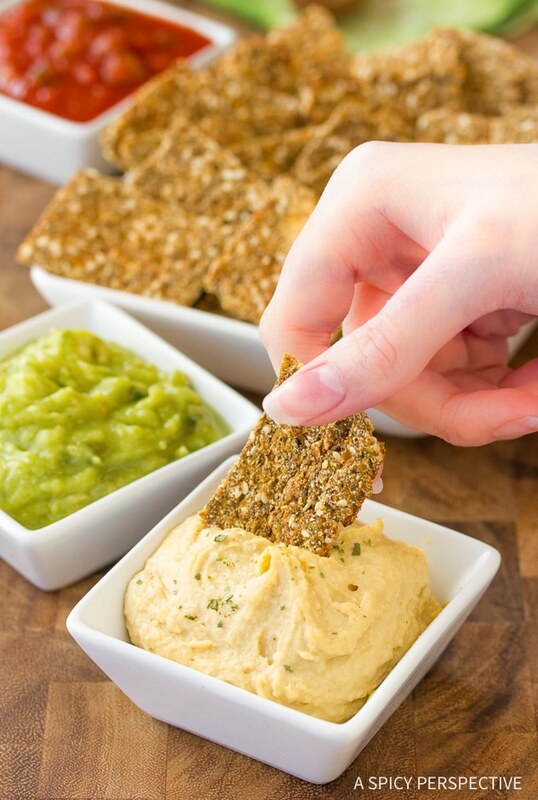 Are you looking for a healthy alternative to highly processed snacks filled with carbs, grains, fats, sugars, and preservatives, or do you just like trying new recipes? There are probably a few other “frees” in there that I forgot to mention as well. 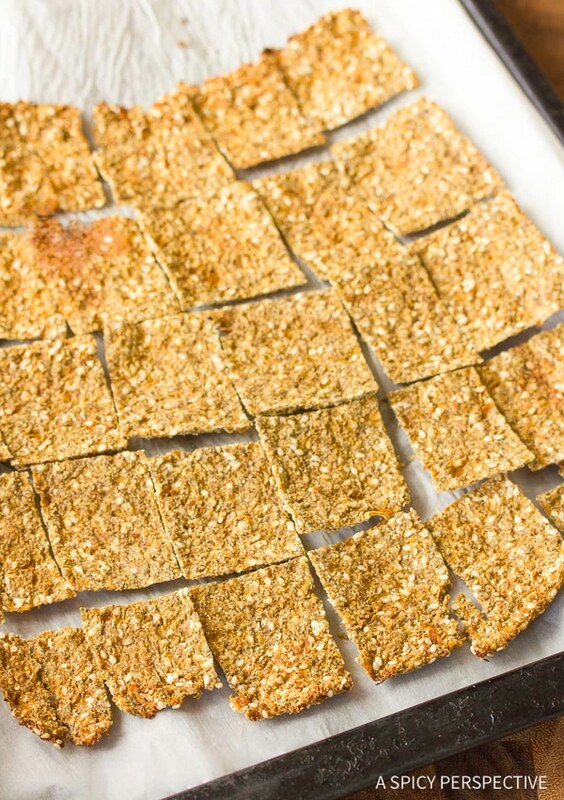 Low Carb Cauliflower Crackers are a crispy, crunchy, surprising treat. They are a taste and texture all their own. Don’t be mistaken, these little crackers are no sub-par substitute for those commercially manufactured, highly addictive tidbits. They are their own entity that couldn’t possibly masquerade as anything else. Do Low Carb Cauliflower Crackers Taste like Cauliflower? Yes, Low Carb Cauliflower Crackers unapologetically taste like cauliflower, and the seeds, spices, and other ingredients that they are actually made from. I must tell you right now that this recipe is not for the faint of heart. After all, it takes a bit of manipulation to transform a vegetable that is 92 percent water into distinctively delectable crackling morsels that in no way resemble their original constituents. Don’t let that deter you, if I can do it so can you! A little steaming, a little chopping, a bit of squeezing, mixing and toasting, that doesn’t sound too hard now, does it? It is nothing you can’t handle. There is no microwaving in this recipe. I have seen many versions of cauliflower crackers that tell you to microwave the cauliflower. Why? I wanted to create a healthy nourishing and digestible cracker, therefore no microwaving. Coconut flour, flax, and chia seeds offer nutrients, flavor, and are the binding force to the mix. Baking alone will not produce the desired crunch. We must also make sure the crackers are dried to perfection. Allowing them to rest in a warm oven for a while will do just that. How Many Carbs Are In Cauliflower? In one head of Cauliflower, there are 29 grams of carbs. 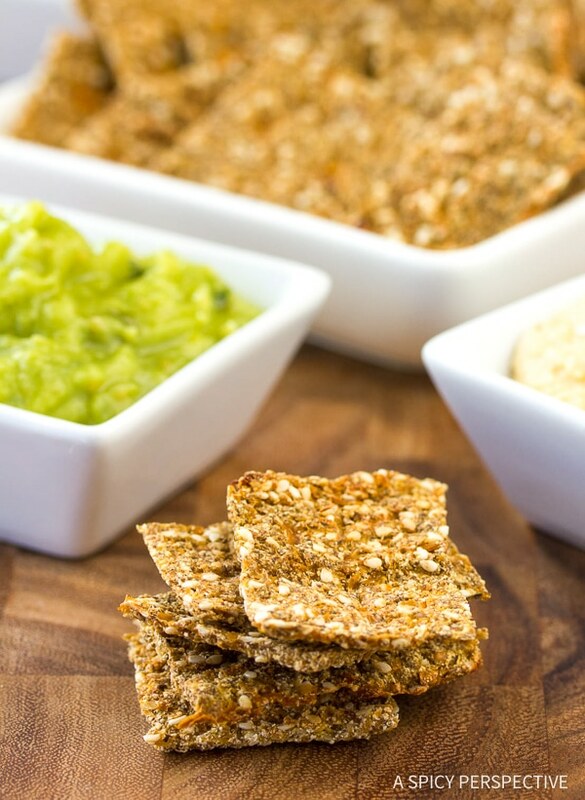 But don’t worry, each serving of crackers (about 6 chips) has only 1 gram of carbs making this a low carb recipe! Our Low Carb Cauliflower Crackers will disappear quickly so you may want to double or triple the batch while you’re at it! See The Recipe Card Below For How To Make Low Carb Cauliflower Crackers. Enjoy! Low Carb Cauliflower Crackers Recipe - This amazing gluten free, grain free, paleo, vegan cracker recipe will fit into any diet! So tasty, you won't even miss the grains! 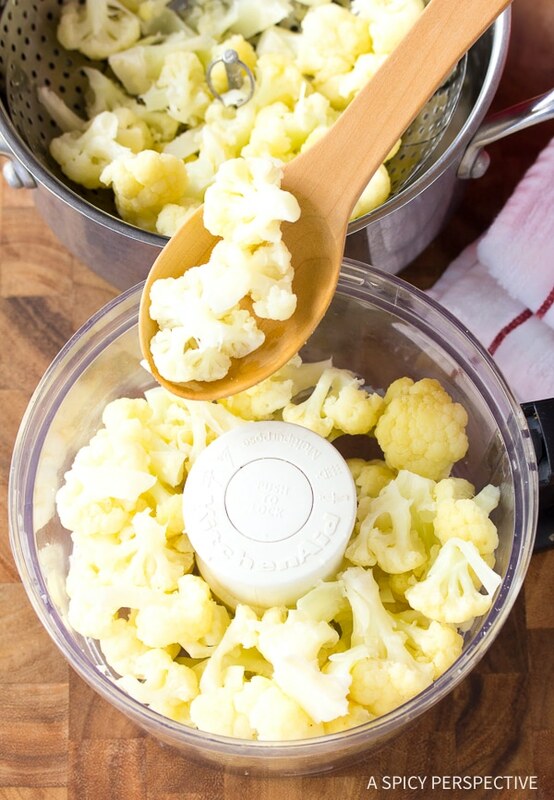 Wash, clean, and cut the cauliflower into chunks, Place in a steamer basket in a large pot with 1-2 inches of water. Cover with a lid, bring the ,water to a boil and steam for 3-5 minutes. Cool the cauliflower, then chop in a food processor to small even pieces. 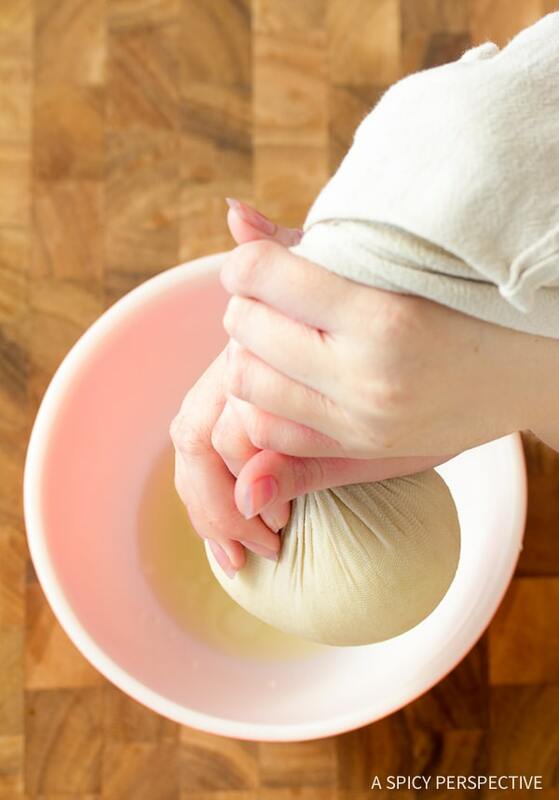 Place the cauliflower in a cheese cloth or flour sack towel and squeeze out most of the liquid. 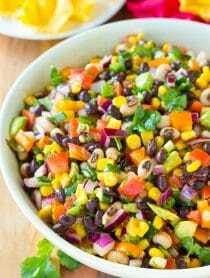 Heat the oven to 400 degrees F. Place all ingredients in a bowl and mix well. Let it sit for 10 minutes. 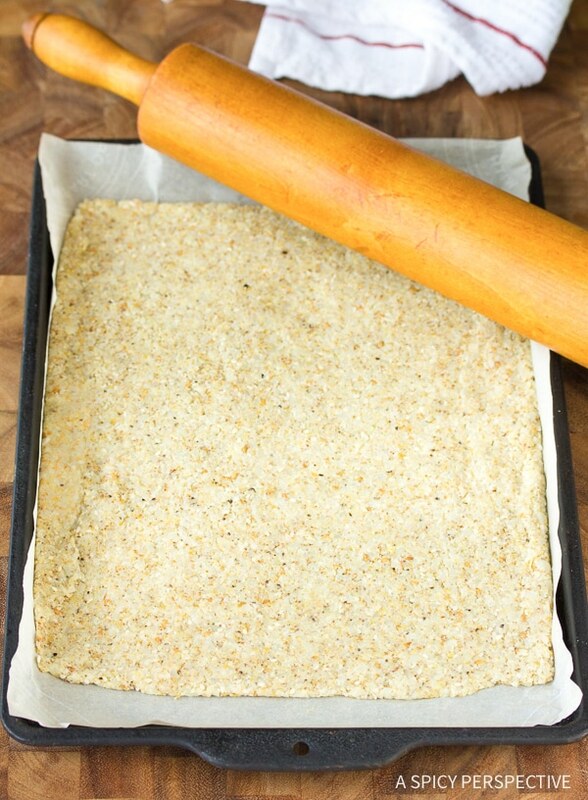 Roll out the mixture between 2 sheets of parchment paper, to 1/8 - 1/4inch thick, forming it into a large rectangle. Remove the top sheet of parchment. Bake for 15-20 minutes until lightly browned, cover with another baking sheet and flip the pan over. Bake for 15-20 minutes. Turn off the oven. Cut into crackers with a knife or pizza cutter. Place the crackers back in the oven, and allow them to slowly cool and dry until the oven is just barely warm and the chips are crisp, 1-2 hours. If in a hurry, buy frozen steamed riced cauliflower. Allow it to thaw and start from the squeezing process. Store in an air tight container. The recipe looks good but can I check the serves, the recipe shows 30 serves of 6 crackers per serve so 180 crackers all up which seems wrong. I imagine the recipe makes 30 crackers and I’d like to confirm that the nutrition count is for 6 crackers. Many thanks I’m looking forward to trying this. We love this healthy snack! What a great cracker recipe!! What a creative recipe! Who would have thought that you can make crackers out of cauliflower. YUM! This is such an amazing idea! Such a healthy snack! My kids loved it! I have a few friends who are GF and these were total winners! Genius! 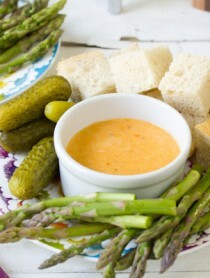 So yummy and I needed more low carb snack ideas!!! 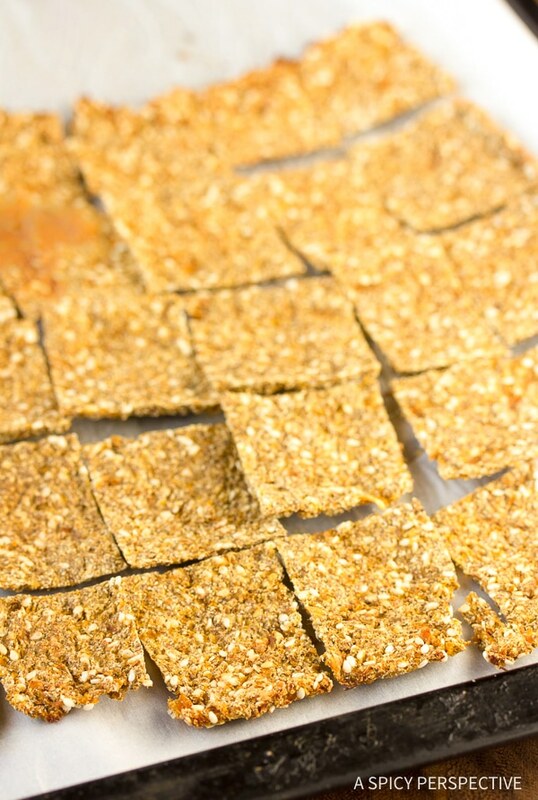 Who woulda thought cauliflower would make such yummy crackers? Delish! With some butter or cream cheese and a piece of smoked salmon on top these were such a great snack. Or with avocado/guac, perfection! I’m confused about the 4th step. Do I keep the pan covered with the second pan inside the oven while it bakes a second time again? Sorry about that! You just place another pan over the top, so that when you flip them, the crackers are still on a baking sheet, not on the floor. You do not bake them covered. Does that make sense? How can this recipe have an entire head of cauliflower but have 0g dietary fiber? Is that a typo? That does seem off. I’ll double-check it with another app. What a great recipe! Can’t wait to try it. How much do you think would be one serving? How many crackers? I can not get to the actual recipe, I have clicked on both page 2 and on the box “click here to get the recipe” and it just takes me back o the beginning of the page with the pictures and description. Would really like to try this recipe. Pretty easy. A nice change. I omitted the lemon pepper & used a spicy pepper blend. They turned out nice & crisp. Wow this is a treat ! You have brought it all up to a completely new level ! Keeper definitely. Thank you ! I’ve never used nutritional yeast and see there is large and mini flake. Which did you use? I used the large flakes of nutritional yeast just because that is what I had on hand. Either one will do, it will break up and be blended in with the other ingredients. Can frozen cauliflower rice be used instead of fresh? I have made this recipe with frozen cauliflower and it works great. You don’t have to steam it. Just thaw and go right to the chopping and squeezing steps. If you buy the riced version you won’t even need to chop it..
What is the Cholesterol count in the cauliflower cracker recipe? There is zero cholesterol. Cholesterol only comes from animals (meat) and things made by animals (eggs, milk, butter etc.) and we humans also make cholesterol within our bodies, just like other animals do. What can you use in place of coconut flour? I have the rest of the ingredients. I am not vegan, but I am trying to eat healthier. I thought I may use them as a chip replacement at special occasions. Almond flour is my first choice to replace coconut flour. Can you substitute almond flour in place of coconut flour? My husband is diet controlled diabetic and there are less cabs in almond flour. Yes, I substituted the coconut flour for equal amounts of alond flour and it worked just fine. Yes, almond flour is a great substitute for the coconut flour. It has a wonderful flavor. I have used both. I would use 3 tablespoons for a better consistency. 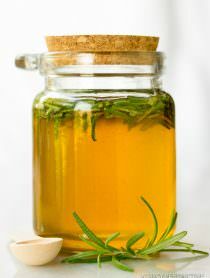 Is there a printed version of the recipe. I am not finding the amounts , directions and temperatures for this. There are pretty photos and an enthusiastic description, but not any details. Would love to try it if I can get the detailed instructions.